Kıvanç Tatar is “a worker in rhythms, frequencies, and intensities;” playing trumpet and electronics, composing experimental music, performing audio-visuals, and researching Creative Artificial Intelligence for Music and Multimedia. His career aims to integrate Science, Technology, Engineering, Interactive Arts, Contemporary Arts, and Design to research interdisciplinary topics to create transdisciplinary knowledge. 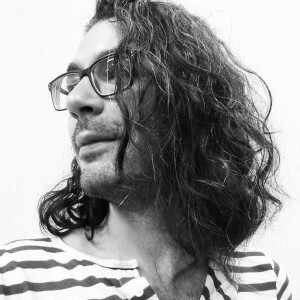 His work has been exhibited in Germany, Italy, Romania, Austria, Brazil, Australia, USA (New Yorkand Atlanta), Canada (Vancouver and Montreal), South Korea, and Turkey; including the events the cultural program at Rio Olympics 2016, the Ars Electronica Festival 2017 (with the theme Artificial Intelligence), CHI 2018, and Mutek Montreal 2018.